The Edinburgh Evening News reports on a Muslim shopkeeper who suffered a campaign of hate during the summer of 2013 causing him to suffer a minor heart attack. Faryad Hussain, 40, caught a young man, 25, stealing from his shop in Dalry, Edinburgh while under the influence of drugs. Hussain decided not to press charges and let the young man off with a warning. He wanted to give the culprit a second chance. But failing to report the incident to the police led to several months of “terrifying” verbal and physical abuse inflicted in Hussain and his family by the young man and his father. The shoplifter threatened to slit the throats of Mr Hussain’s wife and their 13 year old son, while CCTV caught his father, 65, smearing faeces on the shop’s shutters and locks twice in the space of three days. The abusers reportedly put glue in the locks of the shutters every two days and repeatedly shouted abusive racist remarks at the family. During one incident, Mr Hussain was attacked on the street by the shoplifter and his two friends. When a passer-by came across the attack, he joined in, attacking Hussain with his walking stick. In another incident, a wheelie bin was pushed against the back of the shop and set alight. The stress of the situation and the continuous abuse caused Hussain to suffer a minor heart attack putting him in hospital for a week. Mr Hussain’s wife Shamim, 39, was too terrified to run the shop on her own and the couple feared for the safety of their three young children. 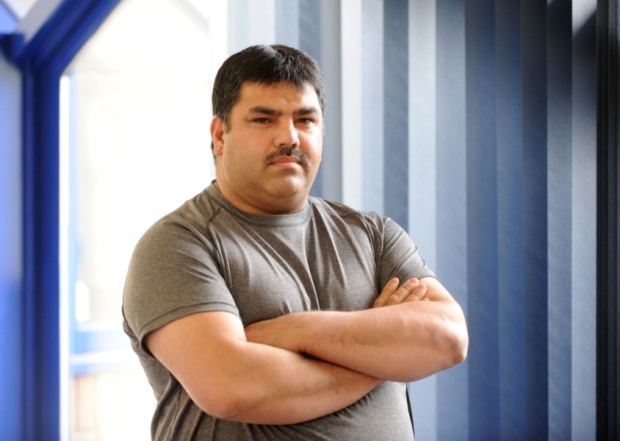 When Mr Hussain returned to work after a week stay in hospital, he was issued with a body camera by Police Scotland to help record evidence in the event of further incidents occurring. Mr Hussain felt that the camera was an effective deterrent and he and his family were grateful to the police for their support throughout their ordeal. The father and son, who lived across the road from the shop, were arrested and charged with hate crimes over the prolonged campaign of hate against Mr Hussain and his family. The father was issued with a fine, his son was charged with a variety of crimes and was jailed for 18 months. Inspector Tom Galbraith, of Police Scotland’s Prevention, Intervention and Partnership unit, described Mr Hussain’s ordeal as a “horrific set of circumstances”. He also revealed that of the 455 hate crimes which were committed in the Edinburgh between April and July this year, the vast majority were racially-motivated. Police Scotland are now in the third week of a month-long hate crime campaign called “Scotland – No Place for Prejudice”. The force aims to raise awareness of hate crime in the country after statistics showed a sharp increase in religious and race hate crime in Scotland. Furthermore, figures showed that hate crime in parts of Scotland, such as Glasgow increased by more than 6% in the last year. Between April 2014 and January 2015, a total of 5,344 hate crime incidents were reported. This is compared to 5,036 hate crime reports during 2013/14. The sharp increase in the reporting of hate crime is also compounded by the under-reporting of hate crime incidents and is a growing problem not only in Scotland but also in all regions of the UK. According to the Hate Crime Overview report published by the Home Office in 2013, only 40% of hate crimes are brought to the attention of police. Police Scotland are to be commended for stepping up their campaign to get victims of hate crime to not suffer in silence and report incidents to the police.